Well it has been a busy summer in the Coffing household. After returning from a fantastic trip to the UK, I have been playing catch-up with yard work and gardening ever since. I hope your summer has been enjoyable and relaxing As we have a pretty full slate of work to do in the quarries when we return. I want to remind everyone of our upcoming picnic at the home of Brother Haukaas (246 Blair Road). It is a potluck with the lodge providing hot dogs, hamburgers and beverages. I hope you will be able to attend. Monday, September 16th, when we return from darkness to light, is our annual recognition and honoring of our Past Masters. This is a wonderful evening of fraternal socializing and I encourage you to bring your lady to enjoy the festivities. Dinner will be served at 6:00 pm. I had originally planned on boring you with the details of my visit to Lodge Mother Kilwinning 0 in Scotland.....but somehow seems very out of place and trivial, given the news that most of us have received. 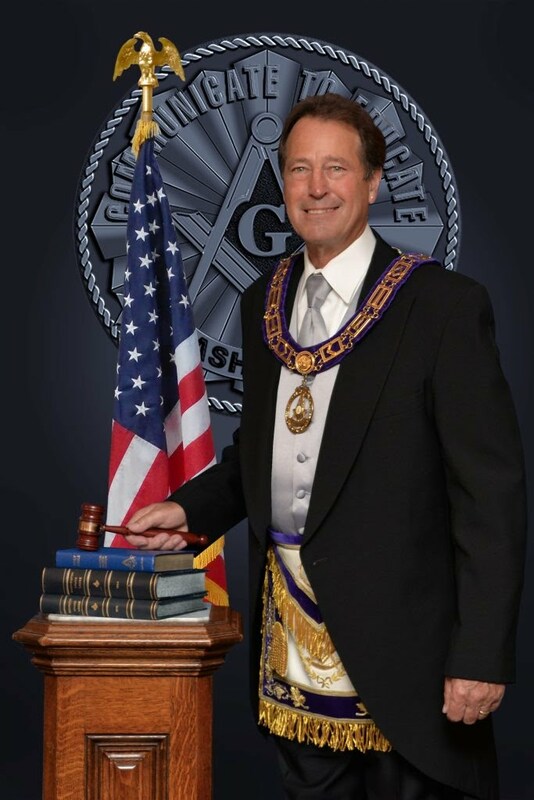 WB Patrick Conroy, Past Master of Washington Lodge #4 and also a member of Ridgefield Daylight Lodge #237, was given the news that his condition is terminal and time hereon earth is very short. WB Conroy asked that he be able to attend lodge one last time. WM Fred Davis of WA #4, called a Special Communication on Thursday, August 15th, to honor WB Conroy’s request. Even with a very short notice, there were over 50 brothers present to participate in this very wonderful event. WB Conroy and WB Steve Fondren were the first two Masons I met when I visited the VMC for a study group. WB Patrick has been a dear and close friend ever since. My dear Brethren, our time here on earth is but a blink of an eye in the grand scheme of the Great Architect of the Universe, but let us make the most of our time so that our works last long after we have passed to the Celestial Lodge above.